Our 2007 Russian River Pinot is unquestionably the finest we have produced thus far and comes from a vintage that will offer great pleasure for many years to come. The aromas cover all the Pinot bases: hi-tone red fruit brightness with darker berry fruit and complex earth tones. The palate follows the same theme with gorgeous silkiness, breadth and powerful structure; an effortless combination that blossoms in the finest vintages. The vineyards that contribute to the wine can be divided into either fruit or structure sources. Of the fruit sources, Gregori’s young vines show aromatic freshness and spicy cola; Hanna, an important ingredient since 1999, provides fresh strawberry and darker crushed berry notes; and Crinella opens with intriguing aromatic notes of orange zest then black raspberry and dried herb. The structure sources pick up the middle of the wine, broaden and lengthen it to its powerful finish. Hansel is dark, complex and brooding with forest-floor, licorice and black tea flavors; while Trenton offers pure cassis, slight medicinal notes and bold tannins. The critical ingredient which makes the wine whole is, of course, Widdoes. 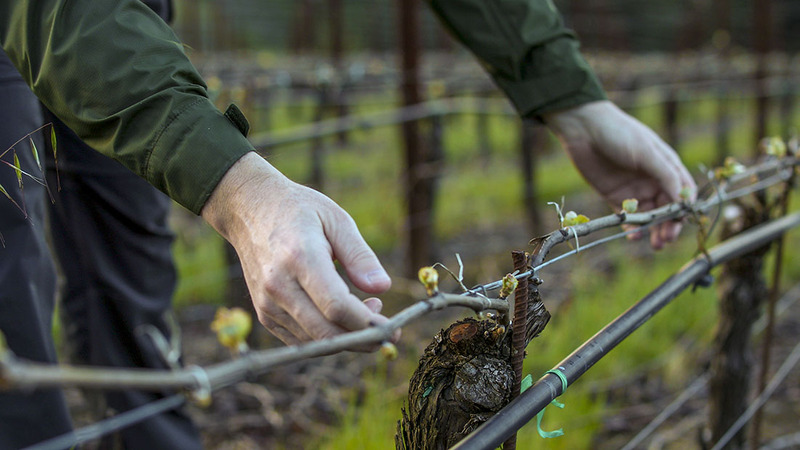 There are few vineyards that truly reflect and amplify their site so consistently no matter the vintage conditions. In 2007 Widdoes rewarded us with kirsch, spice cake, truffle and graphite notes, a supple textured mid-palate and an irresistible wild berry packed finish… a great year to be sure. You will find very few single vineyard wines that can outdo this blend for freshness, complexity, weight and subtlety, not to mention sheer Pinot pleasure. My impression is that the wine will increase in secondary complexity for 6 to 8 years and continue to hold if cellared at 55 degrees for up to 12 years. This beauty is not to be missed. Bright garnet color that darkens in the glass; Orange peel, fresh raspberry and briary aromas darken to kirsch, clove and blackberry. Great purity of Pinot fruit: sweet plum, spicy cola and wild berry flavors that are vivid and juicy lead to black tea, dried cherry and licorice complexity. At once supple then broadly structured with a long fresh expansive finish.